Large format sensors are here to stay. The ARRI LF, the RED Monstro, the SONY Venice, and the Panavision DXL 2 are the most recent additions to the the growing list of large format cameras. The larger sensors deliver a more organic look with an interesting bokeh due to the extremely shallow depth of field, but to get the best performance from these sensors, lenses with image circles of at least 50 mm are necessary. 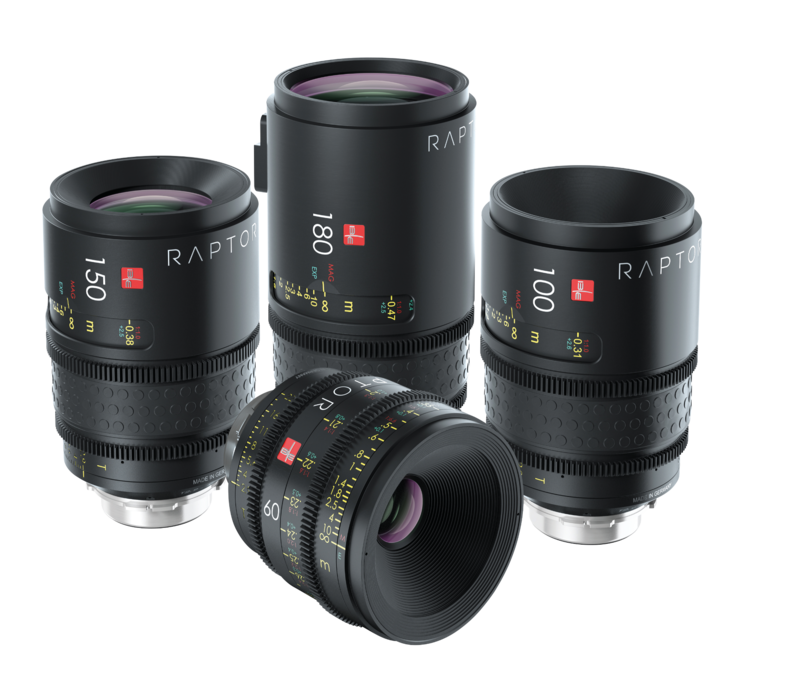 The RAPTOR lenses featuring full frame (24×36) coverage, 1:1 magnification, consistent T-Stop T 2.9 as well as robust and durable professional cine mechanics. Band Pro specializes in products and solutions for professional filmmakers and videographers. From our offices in Burbank, New York and Munich. Band Pro offers the highest level of knowledge and expertise along with the finest equipment and accessories available. The company’s research and development protocol allows product lines to expand toward the newest technologies so clients can focus on the art and craft of cinematography. With close relationships in Hollywood and worldwide, and long-standing partnerships with camera and lens makers, Band Pro has remained at the forefront of the newest developments in digital cinema. At Band Pro we believe in partnering with our customers and offering them education, support and equipment service, not just a product in a box. Our technical product specialists can offer camera training and custom setup. The lenses cover every sensor up to Vista Vision and beyond. They are literally future proofed for new cameras. With an exclusive Univeral Mount System we ensure that the lenses can be used on most cameras. Do not worry if you use EF, PL, Sony E cameras, the UMS will be easy to switch and keep you highly versatile. Depending on the focal length you have different minimum close focus ranges. Designed with a special apochromatic (APO) lens element, for a better correction of chromatic and spherical aberrations. Better color accuracy by design. These lenses have an amazing 1:1 magnification, which will enable you to see the smallest details in the macro world like never before. Velociter x0.8 for RAPTOR lens series. 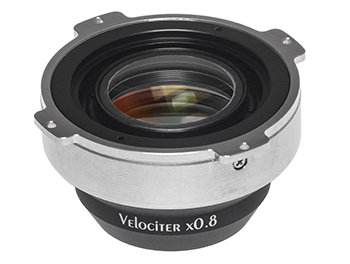 The Velociter x0.8 optical converter reduces the focal length of the RAPTOR macro lenses by 0.8x. At the same time, it increases the lens speed by almost 1 stop. The RAPTOR 100mm T2.9 becomes a 80mm T2.3, for example.In order not to waste light, the Velociter concentrates the light from the full-frame sensor on the S35 sensor. 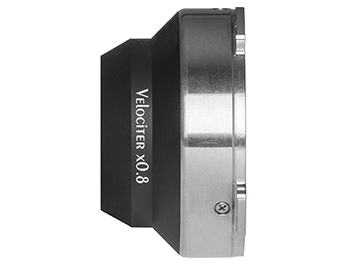 Because the image diameter is reduced from 46.6mm to 36mm, sensors up to RED DRAGON 6K FF or ANSI S35 Silent can be covered.The Velociter x0.8 can easily be assembled in exchange of the extension tube of the PL UMS Mount. With the converter connected to the lens, only PL cameras can be used. 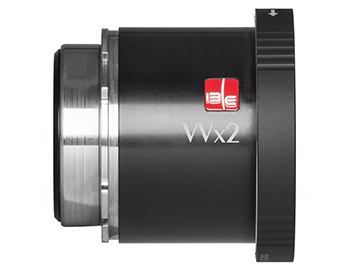 VVx2 UMS for RAPTOR lens series. 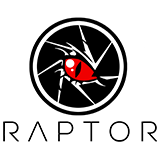 By magnifying the image twofold, the transmitted light is spread over a larger area, decreasing the brightness by two stops. 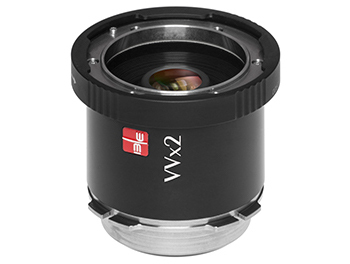 The VVx2 UMS is designed to mount to any digital cinema camera with a native PL mount. In addition, the IB/E UMS Mount System offers the ability to change the mount to Sony E, Canon EF and others in the field without re-shimming. No longer limited to a single focal length, IB/E’s Raptor lenses are redefining how I shoot tabletop. 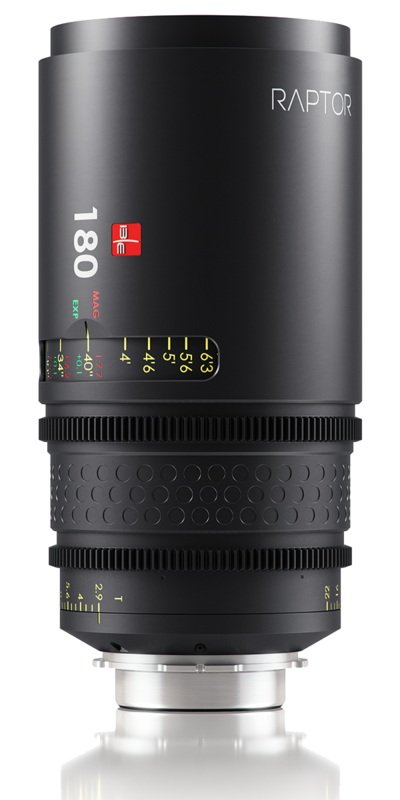 Offering 100mm, 150mm and 180mm PL mount macro lenses, the Raptor’s offer people like me wider toolset without compromising quality. The Raptor Macro’s released me from the constraints of clumsy close-up diopters or underperforming still lenses, while allowing true, cine-style functionality and repeatability in an elegantly affordable lens package. The limited chromatic aberrations, classic bokeh with a distinctively filmic look, meant these lenses quickly became part of my standard tabletop package.